It is probably not that well known but there are a good number of other species of coarse fish in Croix Blanche Lakes. Moist of these grow to specimen size. The lakes contain a large head of pike and some really big ones, the lake record is over 40lb. So if you enjoy a bit of piking don’t forget your lures and pike rigs. Depsite the fact that I set the venue up as a carp and catfish fishery, the previous owners had stocked numbers of pike as these fish are the preferred quarry of most local fishermen. These fish then have seen virtually no pressure in the 10 years since I have owned the place. Live baiting: A very effective technique that is now banned in many countries including the UK. But I have no issue with people using livebaits caught in the lakes. All the lakes have large heads of rudd and roach so this shouldn’t be a problem. Lure fishing: One of the most popular techniques as it is easy to pop a few spinners or plugs into one’s tackle bag and go for a wander if the carping is quiet.. Most of the good pike over the last few years have fallen to large ‘shad’ type plugs. Several UK companies now do entire ranges of jerk baits and lures based on American patterns that are very effective indeed. Deadbait Fishing: Not the most used method but one that has in the past sorted out the bigger fish. Herring and mackerel can be bought in supermarket or used frozen and again are an easy bait to adapt to carp tackle with just a few additional pieces of end tackle. Rods can be placed on a carp pod and a big Esox is a real possibility. There are many other coarse species present in large numbers and many of specimen size. 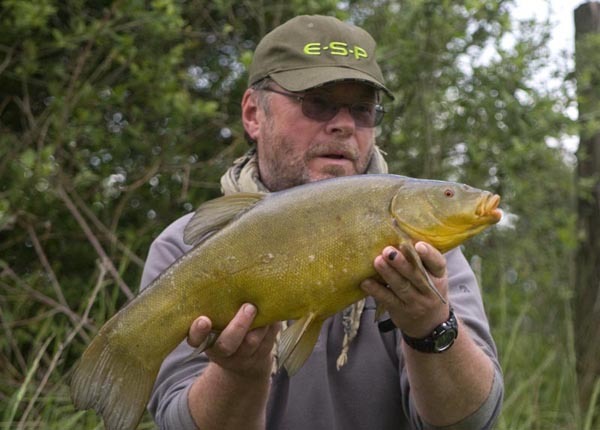 These include: Crucian carp, Tench, Rudd, Roach, Bream and a few Zander. Many anglers enjoy a bit of sport if the carp decide not to play the game and a feeder rod or float rod can be used in conjunction with your regular carp set up. As the rod limit is 3 carp rods, I don’t expect you to reel one in if you want to try your luck. There are no crayfish or Poisson-Chats. Anglers who enjoy the pleasure of watching a float are welcome to give it a go.